Boca Fontana is a single family home community located in Boca Raton, Palm Beach County, Florida. 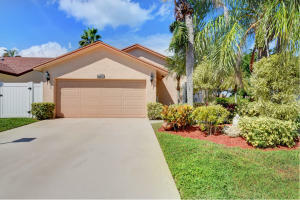 Many homes in Boca Fontana have features such as Corian countertops, upgraded flooring, stainless steel appliances, custom cabinetry, new roofs, crown molding, and walk in closets. The Boca Fontana community offers various amenities, including tennis courts, swimming pool, and a clubhouse. Residents of Boca Fontana enjoy a central location, just minutes from the Boca Town Center Mall and other shops, various restaurants, museums, schools, theaters, major highways, and several entertainment venues. Boca Fontana in Boca Raton is really a wonderful location. The Boca Raton location is amazing. But, if this isn't the community for you, you might like one of the other local communities like Lake House or Mayfair or Meadow Lakes that are located here as well.